Create a dynamic web project. Ensure Eclipse's web service runtime is appropriate for the server runtime being used. In Eclipse, select Window> Preferences. If the dynamic web project is configured to run on WebSphere Liberty, then the web service runtime should be IBM WebSphere JAX-WS. If the dynamic web project is configured to run on Apache Tomcat, then the web service runtime should be Apache Axis. 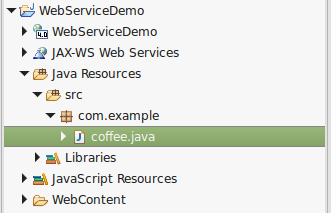 In the left panel of Eclipse, expand Java Resources. Right-click on the src folder and select New > Package. Give the package a name, such as com.example, and select Finish. The package should now be displayed in the left panel of Eclipse. Right click on the com.example package, and select New > Class. Give the class a name, such as Hello, and select Finish. The Hello.java class should now be in the com.example package. Add the following markup to the class. 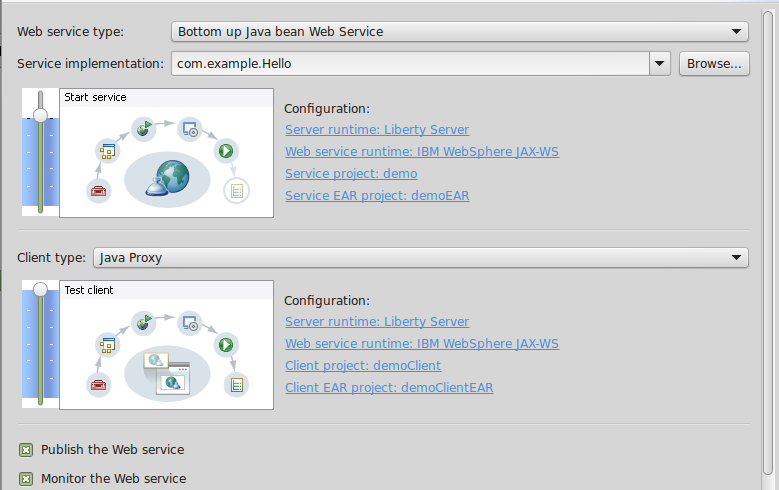 Right-click on the Hello.java class, and select Web Services > Create Web Service. 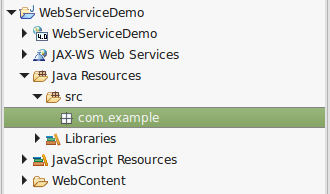 In the dialog box, set the Web service type to Start service and the Client type to Start client and select Finish.